Just in time for the holidays DERMAFLASH and Perricone MD are joining forces with an Ultimate Exfoliation & Treatment System. The kit, which includes the DERMAFLASH system and two Perricone MD solutions, helps women achieve spa-soft skin at home. 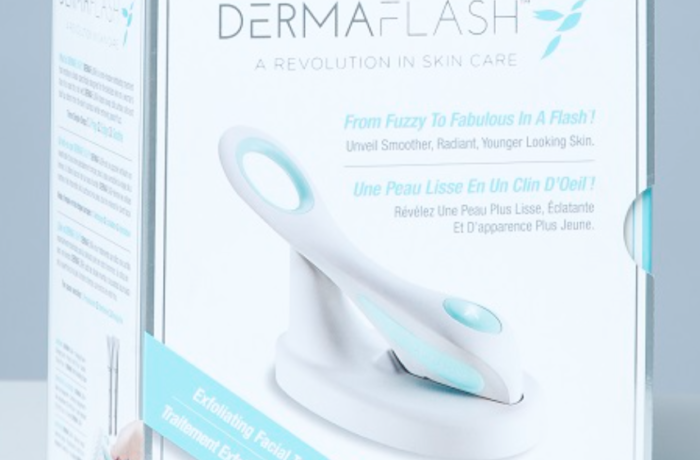 DERMAFLASH creates the perfect canvas for both skincare and makeup by removing the barrier to penetration, prepping skin for the ultimate absorption of anti-aging ingredients. With daily use of patented and proven Perricone MD products, this system promotes a more hydrated, firmer-looking, youthful appearance, visibly targeting and diminishing wrinkles. The limited-edition Ultimate Exfoliation & Treatment System from DERMAFLASH and Perricone MD retails for $229 (a $286.50 value) and will be available at PerriconeMD.com, Dermaflash.com, Sephora.com, QVC.com, Nordstrom.com and in select Nordstrom stores while supplies last.